It's still hard to talk about Jason Isbell without mentioning the Drive-By Truckers. I'm especially guilty because I've been a huge DBT fan for years (I still say that Southern Rock Opera, Decoration Day and The Dirty South could stand up against any other 3 consecutive albums by any rock band in history) and he was one main reason why. If I had to name you the ten best DBT songs, at least four of them are Isbell tunes and he was only in the band for three of their seven albums. When his first solo album, Sirens Of The Ditch came out I was a bit underwhelmed. 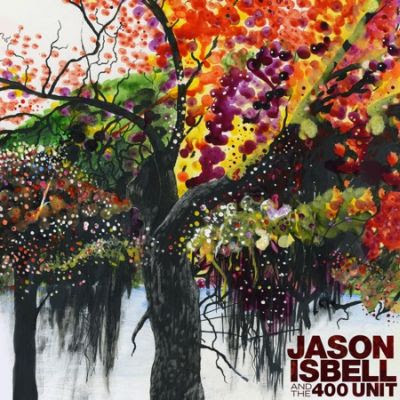 Isbell started to sound bored with the Truckers back on the last album he appeared on and it seemed to carry over to his solo album. With the exception of a couple of tunes, most of it was pretty uninspired and not necessarily interesting. I had began to hear positive things about his new self-titled album (out this Tuesday, Feb 17th.) so I got a little excited that it may be a return to form. I'm beginning to think after a half-dozen listens that I won't be disappointed. There isn't anything as good as 'Outfit', 'Danko-Manuel' or 'Goddamn Lonely Love' but there isn't a single weak song on it. You can cruise over to his Myspace page to check out the track 'Cigarettes and Wine' and don't forget he'll be at Knuckleheads in KC on April 12th with Justin Townes Earle.